The scent of freshly baked chocolate chip cookies fills the halls as the students pile into their classes, the smell lingers in the air, bringing a warm feeling to the school. In addition to the new cafeteria for this school year, there were changes to the lunch menu, one of the biggest changes for students and staff alike was the removal of the large Otis Spunkmeyer chocolate chip cookies. The Otis Spunkmeyer cookies were not known around the school for just their taste. The idea for a petition to bring them back came to Wilmot and two other juniors during mega lunch one day. Getting signatures on the petition was an easy task for the group. 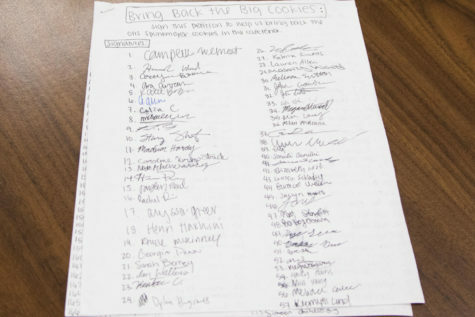 Students were not the only ones that showed support to bring the famous cookies back, staff also showed their support. 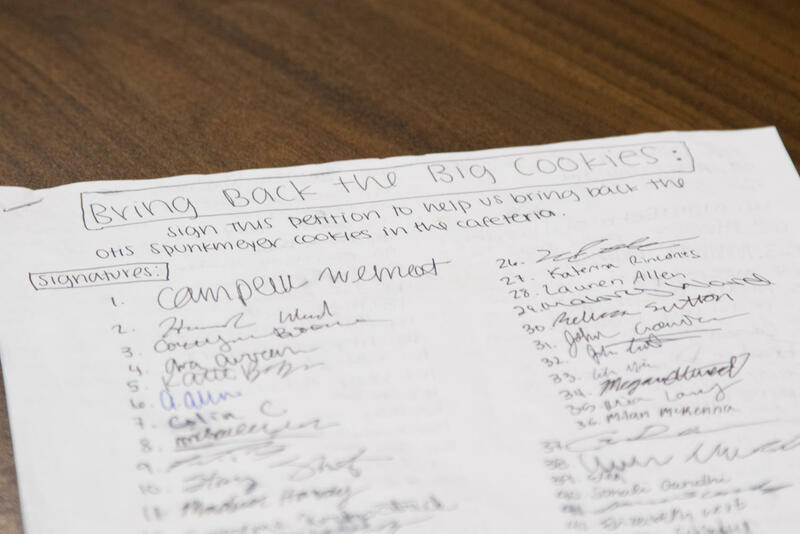 Wilmot and her friends ended with 250 signatures on the petition and plan to email the head food coordinator as their next step in an attempt to bring the Otis Spunkmeyer cookies back.